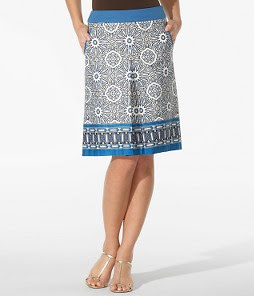 Add some color to your wardrobe with this beautiful Tunisian Border Print Skirt is available at Ann Taylor. This A-line skirt is made of 100% cotton. This skirt is dressy enough for the office, yet casual enough for summer parties. No matter where you wear it, everyone's eyes will be on you!